Home Daily News Blog: Is Your Leadership Style Driving Away Talent? In today’s business environment, workers are no longer satisfied with a paycheck alone. In fact, according to a recent survey by Harvard Business Review, nearly 60 percent of millennial respondents said the quality of a manager was “extremely important” when looking for a job. With changing demographics entering the workforce and new perspectives of work emerging, supervisors now must go beyond monetary compensation in order to demonstrate true appreciation and make employees feel valued at work. This leaves most supervisors wondering, How can I make sure my employees feel valued and respected at work? The answer lies in communication. The first 30 seconds of speaking with someone can determine if your communication is a success or failure. Whether you are assigning a new task, discussing a project or making small talk, the way you address and converse with workers can leave a lasting impression. Ask yourself, What kind of impression am I making? For most of us, the way we communicate is automatic, and we typically don’t stop to think about what we’re saying, how we’re saying it, or what implications it might have. While this may work for the most part, it is important for supervisors to take a step back and pay extra attention to how they communicate with employees to make sure they are interacting in the most respectful, agreeable way possible. To work on enhancing your communication skills, consider the following examples of something a manager might say to a subordinate, and how each statement could be improved to make workers feel more valued and respected. Immediately, most will notice this is a very demanding and inconsiderate way of addressing a co-worker. “This instant” implies that whatever the employee is currently doing holds little value compared to what you have to say to them. Harsh word choice such as this can leave workers feeling disrespected and unimportant. Additionally, if this command were said in the presence of others, it could create tension and possible embarrassment for all involved. Using threats to scare workers into completing tasks is not an effective way to lead. Rather than using empty threats of punishment, try communicating what exactly is at stake with completing the task at hand. Then, workers will feel more motivated to do their part in getting the job done. Addressing a worker in this way also could leave them feeling singled out, alone, and unsupported. Sharing the responsibility as a team by saying “we” instead of “you” can make a large difference. Not taking the time to fully understand the details during an issue investigation is a rookie mistake I still see many experienced managers making today. In situations such as this, practice due diligence and make sure to listen to all sides of the story. It will not only make employees feel valued and listened to, but it could provide you with actionable information to aid in your case. After clearly stating you “don’t care” about your employee’s work, they will not care either. Phrases such as, “I don’t care” or, “Not my problem” should not exist in your vocabulary. These sentiments are likely to have adverse effects on an employee’s attitude, morale, and productivity. In general, workers want to know that their time and efforts are being valued and noticed, not diminished and disregarded. Interacting with workers in certain ways, as demonstrated in the bolded examples above, can drive talented workers out the door. If you neglect to give employees the respect and appreciation they deserve, their work and attitude will inevitably suffer. To build a more productive, loyal, and engaged workforce now and in the future, take the time to practice better communication and learn how even small changes in the way you speak can positively affect others. After all, leaders are only as good as their teams. 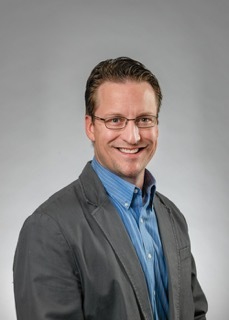 Charlie Westra is a growth services program manager at the Michigan Manufacturing Technology Center in Plymouth Township, a consulting organization serving Michigan manufacturers.